Don’t second guess your translation to and from CATIA V5 and JT. DirectTranslator provides you with a simple-to-use translation platform that provides accurate results. In recent years, the JT format has been growing rapidly in popularity worldwide, and its approval by the ISO (International Organization for Standardization) has spiked that growth. The advantage of the JT format is that it is very light, yet surprisingly rich with information. It supports not only geometric information, but also non-geometric information such as assembly structures, attributes, PMI (Product Manufacturing Information), etc. Not only that, but it also has the capability to store various LOD (Levels of Detail) to provide good graphic performance. Elysium has developed a bi-directional translator between CATIA V5 and JT using the data translation technology accumulated over a 30-year history, as well as its official partnerships with both vendors. This translator has been ranked number 1 in the industry for bi-directional capability. 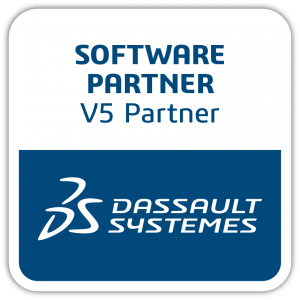 It has also been certified as the official translation tool for Daimler supply chain, which strongly supports operations between CATIA V5 and JT. Elysium’s CATIA V5 to/from JT DirectTranslator is certified as compliant with Daimler quality standards. It not only provides accurate translations under these standards, but it is extensively tuned to satisfy Daimler requirements for exact geometry, visualization, and manufacturing and process planning needs. This tool dramatically reduces the amount of manual work required to repair data using the Daimler JT Supplier Package (JTSP). The CATIA V5 to/from JT DirectTranslator also translates JT data to CATIA V5, automatically editing attributes to the format that can be used in CATIA V5 to guarantee that they can be utilized in various processes at Daimler suppliers. Can be integrated into enterprise-level systems such as PDM (Product Data Management), PLM (Product Lifecycle Management), etc.